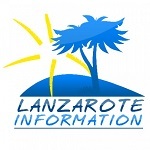 Local, brief news from Lanzarote includes 1600 signed up for Ironman, possible wave energy for Lanzarote, a new ferry service and more. Villa 472 is a really luxurious property in Playa Blanca, with sea views, a fabulous hot tub and a private swimming pool. A real home from home.